By Audrey Golden. Aug 23, 2017. 9:00 AM. Are you traveling to Italy and planning to add to your book collection? The number of cities in Italy with rare and antiquarian bookstores is overwhelming. Indeed, the International League of Antiquarian Booksellers (ILAB) lists 110 booksellers in the country. As such, we’ve limited this particular article to rare and antiquarian shops in Central Italy, focusing primarily on stores in Rome and Florence. In between stops for gelato and tiramisu al pistacchio (can we give you dessert recommendations, too? ), you don’t want to miss some of the incredible booksellers in Rome. According to ILAB, there are nine member booksellers in Rome. There are also additional used and rare bookstores scattered throughout the city. If you’re starting out near the Trevi Fountain, we recommend stopping at Libreria Antiquaria Ex Libris. The bookstore is right around the corner from the Trevi Fountain on Via dell’Umiltà. There was a small collection of twentieth-century texts, including an interesting Italian poetry book printed in the early 1920s on the Russian Revolution. Like most of the booksellers in Central Italy (as we would come to learn on our trip), the bookstore specializes in true antiquarian books. While there is no hard and fast definition for a date that distinguishes an antiquarian book from a secondhand book, we’re referring here to books printed at least before 1900, and many much older. To be sure, if you’re looking for your best chances to add to a collection of incunable (a book or text printed prior to 1501), we suspect that Central Italy could be just the destination you’ve been seeking. Speaking of very old and rare books, many of the booksellers we visited indicated that they did not have any books printed after 1800, and that there’s not really space for browsing. We were excited to see the incredible collections of books for offer at Rappaport Libreria Antiquaria on Via Sistina, as well as those Borromini Libreria on Via degli Orfani, the latter of which is near the Coliseum and a short walk from the Spanish Steps and the Piazza di Spagna. However, given our focus on building a slightly later collection, we didn’t come away with any purchases. 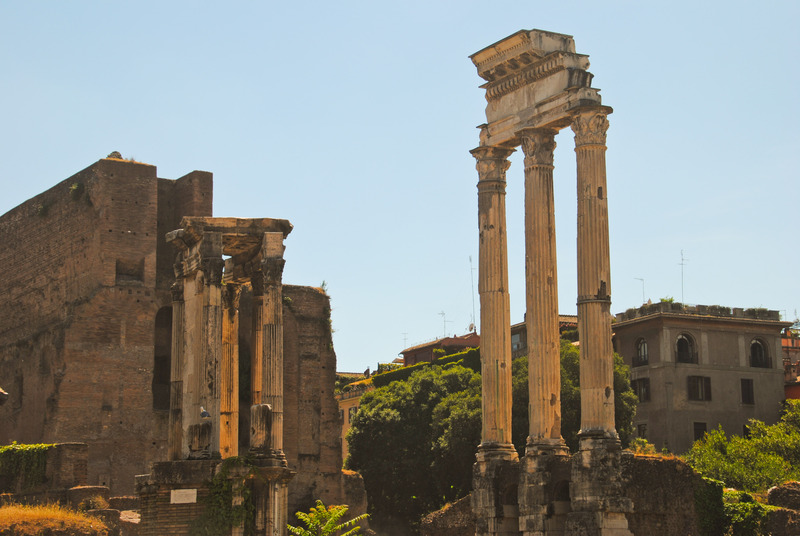 In terms of twentieth-century rare books in Rome, we have two favorite spots: Libreria Coliseum on Via del Teatro Valle, and Libri da Cercare on Corso Vittorio Emanuele. 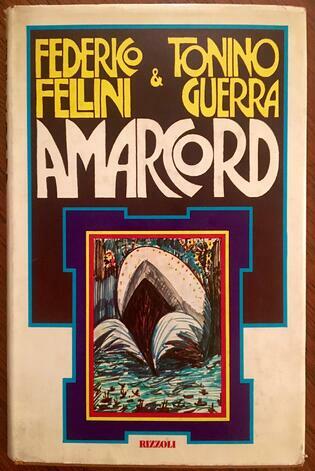 From the former, we came away with a first edition of Pier Paolo Pasolini’s poetry, and a signed first edition of Amarcord (1973), by Federico Fellini and Tonino Guerra, published in Milan by Rizzoli Editore. In addition to standalone shops, there are also a number of small book market stalls in various parts of the city. We found the highest concentration, at least on a weekday, in the Jewish Quarter very near the Great Synagogue of Rome. As in Rome, many of the prominent rare and antiquarian booksellers in Florence specialize in pre-nineteenth-century texts, with many shops focusing on objects much older. ILAB lists seven booksellers in Florence, and we didn’t see too many used bookshops outside those on the list (unlike in Rome). Let us be the first to tell you: many of these antiquarian bookshops in Florence are grand! Please be sure to ring the buzzer to be let inside, where you will find yourself transported to another time period with rooms full of floor-to-ceiling ladders and shelves full of books to match. The primary booksellers in the center of Florence are located on Via Ricasoli. We stopped into Gonnelli Libreria Antiquaria and Gozzini Libreria Antiquaria, which are located a short walk from Galleria dell’Accademia. At the latter, we found a great collection, in Italian, of Nobel Prize-winning writers from the early twentieth century. If you’re headed down to walk along the River Arno, be sure to stop into Cappellini Libreria Antiquaria. The bookstore focuses on art, history, philosophy, and literature, and it also produces some fabulous catalogues. You may also find some rare books if you’re willing to hunt through other antique objects at the Piazza dei Ciompi, where there’s an antique market. There are also a handful of antiquarian booksellers located farther outside the immediate city center of Florence—which will most definitely require a few taxi rides—if you’re particularly tenacious. After you’ve searched through the antiquarian and rare booksellers of Rome and Florence (or, as the cities are called in Italian, Roma and Firenze), it’ll be time to move beyond Central Italy to the dozens of shops in Milan, Bologna, Venice, Turin, and Naples.